Premier Jim Prentice defended himself Thursday after angry Albertans took to social media to create the hashtag #PrenticeBlamesAlbertans. 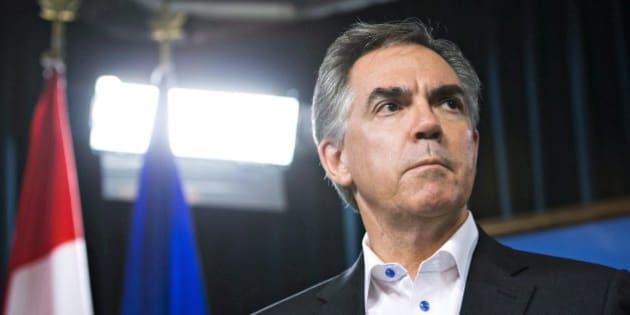 Prentice admitted in a Calgary Herald interview that he "touched a nerve" by saying Albertans should "look in the mirror" to see who is responsible for the province's current fiscal crisis, but says he never intended to put the blame on them. “I’ve never said Albertans are the problem. I’ve never, ever said that or anything like that. What I’ve said is that Albertans have to be part of the solution,” he told the Herald. Prentice went on to explain that his controversial comments, made Wednesday during a CBC Edmonton phone-in interview, were not meant to be any different than what he's said about the province's financial issues in the past. The premier's efforts to clarify his stance have not stopped Albertans from poking fun at him on Twitter with memes and criticizing his comments. #cdnpoli just like a Tory,blame anyone but themselves.Prentice blames the depositer, not the banker.Time to change banks. Yikes, if this is Prentice pre-election, what's he going to be like afterwards? #4yearsofPrentice? Prentice also faced backlash after his communications staff retweeted a quote from his speech Thursday night at the Canada's Most Powerful Women: Top 100 event. The quote "Never retract, never explain, never apologize... get the thing done and let them howl," is actually from Canadian feminist Nellie McClung. Some Albertans, however, took it in the context of the premier's "look in the mirror" comments. @bowenworkforce@JimPrentice@WXN You forgot, "Never take responsibility"
While Prentice continues to take heat, some of his colleagues have come out to defend him.